CSR said he didn't have the option to switch it on his computer.. called his "support/tech" team and they couldn't do it either. Last edited by jdown077 on Aug 24th, 2018 10:50 pm, edited 1 time in total. Not sure if yours is better or not. 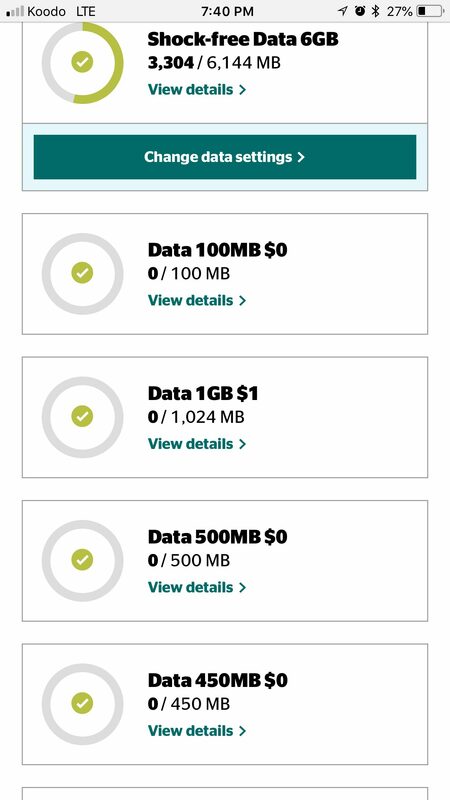 Ongoing 1gb for free or ongoing 2gb for $1. Damn website crashing on checkout saying "Unable to process request at this time. Error:1". Anyone else gets the same error on checkout page? Is it funny or is it just me. Those that are on $40 for 4.5gb is getting the promo but those on the $45 got 5.5gb seems to be out of luck? Anyone else confirm if their $45 plan got this offer? Damn, congrats man. I'll try again tomorrow morning. Was on hold for 2 hours to talk to CSR! PS: I ported my # from PM to Koodo's $40 6GB plan this March. The csr is super nice and honest that he cannot give me the plan, so instead, he gave 2GB extra at no cost for 6 month. Although the name of the add-on on my account is 2GB for 24 month. 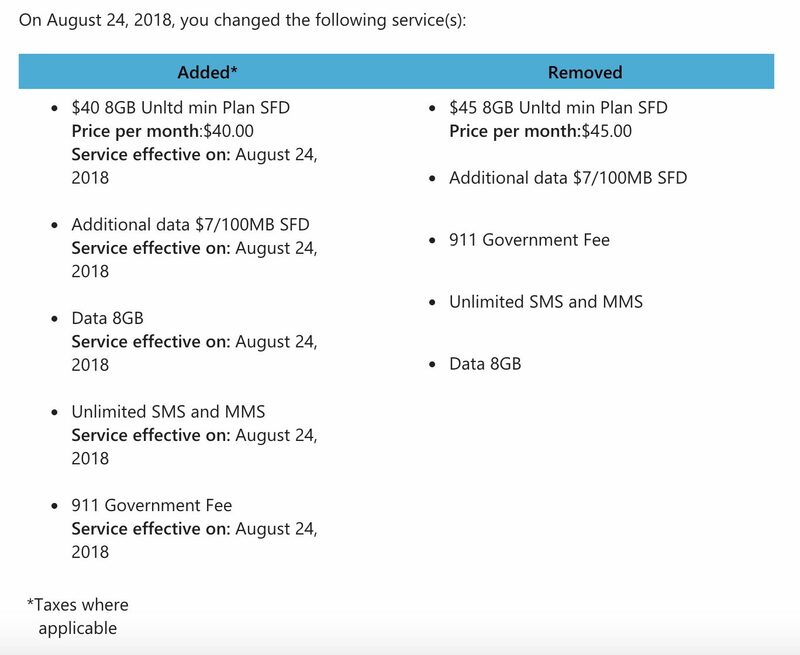 Thanks for the update for those with PM original $40/4gb to Koodo $40/6gb first migration offer. Looks like another person had similar experience. They we're offered $1gb for free or $2gb for $1/month. Waiting to see what others are getting as options. I dont need extra gb above 6gb. Looking for reduced monthly bill or credits. The $35/5gb would be awesome if we can get it. 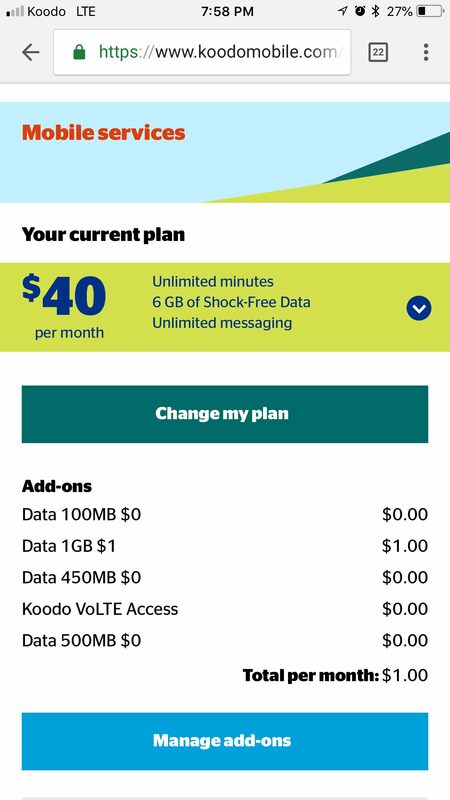 Could someone please clarify if receiving a text with new offer ($40 for 8GB + $180) makes a difference in success rate for those who have moved to Koodo recently and are currently on $45 for 8GB? When I check on the website my phone number is eligible for the new plan with promocode I have received in text, Rep is telling me it's not possible since I have ported 4 days ago. Very confusing. Didn't read fine print, but our PM prices will never inflate/change from my understanding. Seems they are fishing for those who will change and regret it down the road. Ya I'm curious how this works, the $35 for 5Gb is really appealing to me but can they change the price whenever they want? If it's a locked in price and bring your own device then I'd keep it forever. Anyone know the details? 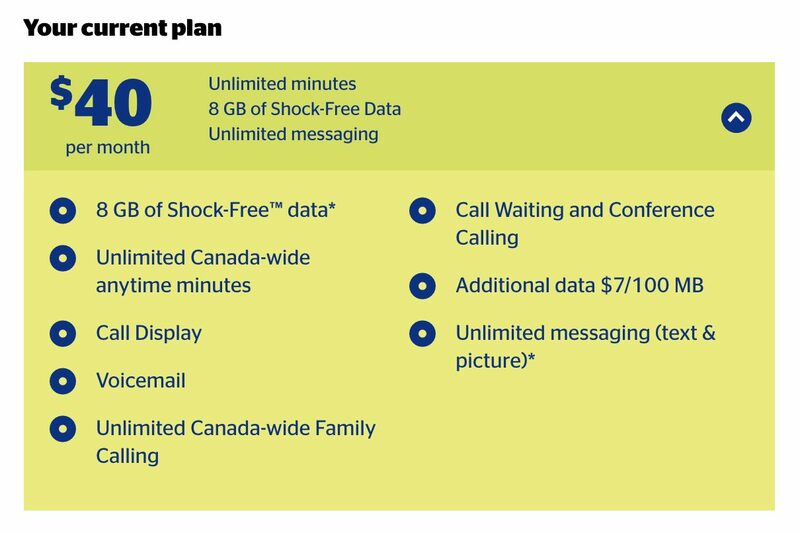 I have a feeling that Koodo is closing the hole since too many people are trying to switch over now - remember there way many $45/8G customers now since the last promo thru proper and "less" proper channels? Is there a way to port back to PM with your old PM email instead of using a new one? I am going to port back to PM if they don't change my $40/6gb to new one. A better offer will likely come down the line too if I stay with PM anyways.